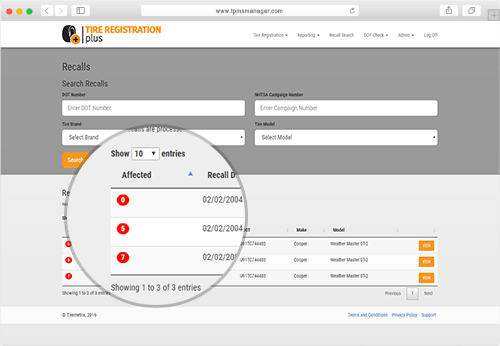 We've built a custom recall database that allows dealers to search for all-brand recalls by DOT number. 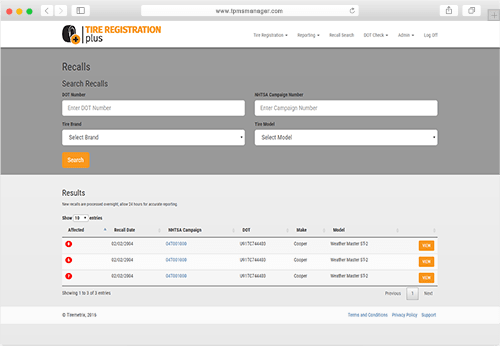 Search our custom tire recall database by a variety of fields including DOT Number, NHTSA campaign number and tire model. View recall details and see the number of affected customers. 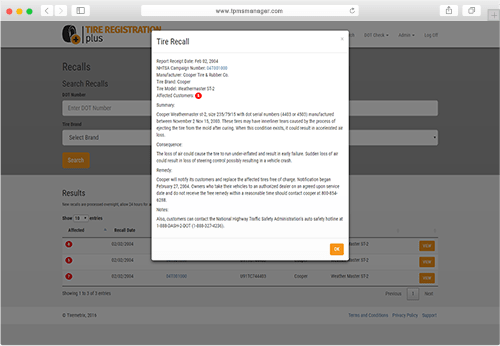 Get detailed recall information directly from NHTSA including remedy notes. Need more information or documents, we link you directly to the NHTSA recall page. Know instantly if you have customers affected by a recall. See the number of affected customers and quickly view their registration records.